Each year as you anticipate the return of cold weather to Southwest Ohio, you must decide if this is the year to replace your old oil furnace. You might also be building a new home and need to install a heater for the first time. Either way, Rick’s Heating & Cooling is here for you. We offer furnace installation and replacement services in the Cincinnati area. If you’re not sure whether an oil or natural gas furnace is right for you, we’ll explain the pros and cons of each fuel type to help you make the right decision. Then, whatever you decide, we’ll install your new furnace with care so it operates reliably for years to come. When you’re ready for a free in-home oil furnace installation estimate, please call Rick’s Heating & Cooling at 513-899-6005 or fill out the contact form on this page. Select a fuel type and brand: We install oil furnaces from Armstrong Air’s Advantage Series to ensure a comfortable home and efficient performance. Choose an efficiency rating: Our Armstrong Air oil furnaces are rated 80 Annual Fuel Utilization Efficiency (AFUE). Size your furnace: The goal is to match your home’s heating requirements. Unlike other contractors, we don’t just consider square footage—we also take your home’s orientation, window layout, air infiltration rates, insulation levels, and other factors into account for the best possible results. Install the furnace professionally: Our technicians ensure your new oil furnace operates as expected for many winters to come. The equipment is well over a decade old. Your heating bills are increasing. The furnace keeps breaking down. The furnace makes strange sounds or emits odd smells. The burner flame is a flickering yellow or orange color (it should burn steady and blue). Reliable heating where gas isn’t available: Natural gas is becoming an increasingly popular fuel type, but if your home doesn’t have access to natural gas lines, oil is an excellent alternative. More heat per BTU: When an oil furnace runs, it produces hotter air than a gas furnace, so you never feel lukewarm drafts from your air vents. Lower upfront cost: Oil furnaces tend to cost less upfront than gas furnaces with similar efficiency ratings. This allows you to install a new heater with a smaller investment. We offer three different Armstrong Air Advantage Series oil furnaces that can fit any budget or efficiency preference. Available in a variety of highboy, downflow/horizontal and lowboy configurations, the Advantage Series delivers exceptional comfort choices for any home. 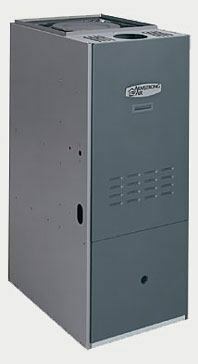 If you are looking for a new furnace for your home, the lowboy furnace form Armstrong Air is efficient and comfortable. This furnace comes with a lifetime limited warranty on the heat exchanger as well a 5-year limited warranty on parts. The Upflow oil furnace from Armstrong Air is slightly more efficient than the Lowboy and is a great choice for families around the Cincinnati area. 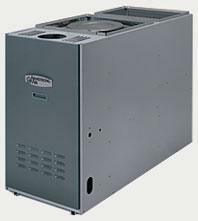 This furnace comes with a lifetime limited warranty on the heat exchanger as well a 5-year limited warranty on parts. The Downflow oil furnace form Armstrong Air is one of the most energy efficient oil furnaces on the market. This furnace also comes with a lifetime limited warranty on the heat exchanger as well a 5-year limited warranty on parts. oes it sound like an oil furnace could be the right solution for your home heating needs? If so, Rick’s Heating & Cooling is the right HVAC contractor to perform the installation or replacement. Our experience serving Southwest Ohio dates back to 1986, and we always put the needs of our customers first! That’s why we schedule all in-home estimates and installation services within a two-hour window. This way, you’re not left waiting all day for a heating technician to arrive. We understand that your time is very valuable, so we schedule all appointments with a 2-hour window frame with the availability of a call-ahead so you are not just sitting around waiting on a service technician. Contact Rick’s Heating & Cooling to learn more about our oil furnace services in Cincinnati, Morrow, and the surrounding areas. To learn more about our oil furnace products, schedule an in-home estimate online or call Rick’s Heating & Cooling today at 513-899-6005.